2016 is over. Whenever another year comes to an end, I like to take some time to process it. 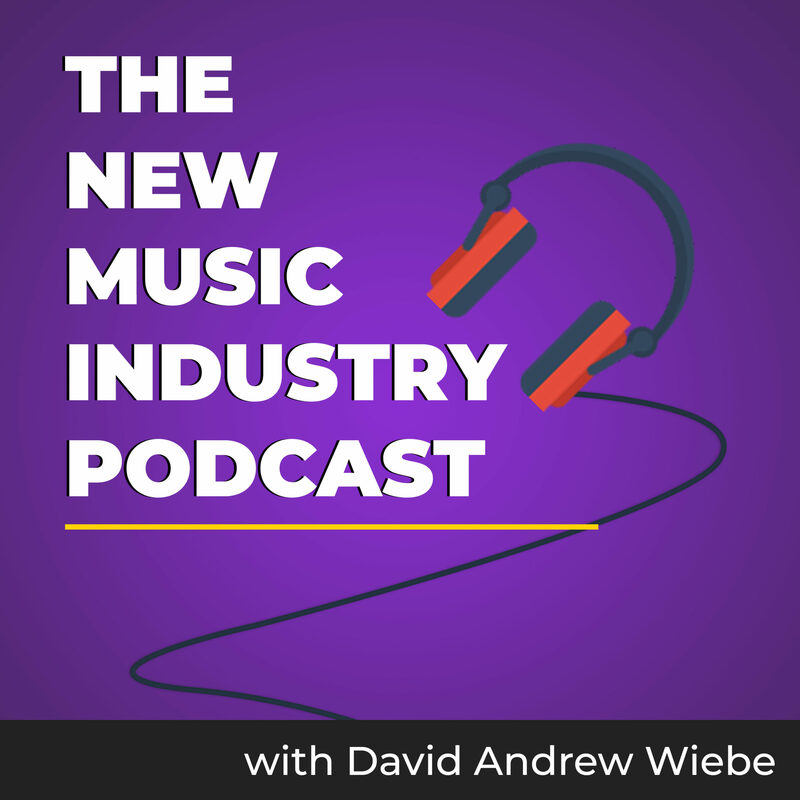 In this episode of The New Music Industry Podcast, I review the year, what I accomplished, and where I fell short. In this post, I’m going to be looking back at 2016. And yes, it will likely be a longer post. But know that this isn’t just for me. This is for you. I want you to think about what went well in 2016, and what didn’t. I want you to take the time to process the year. I want you to formulate and write down new goals for 2017. Seriously. And if there’s anything I can do to usher that process along, let me know. Most of all, I want you to take what I’ve learned, and use it to improve your career and life. You can fast-track your progress substantially if you study my accomplishments and mistakes. And I hope that you’ll share yours as well, so we can all learn from them. 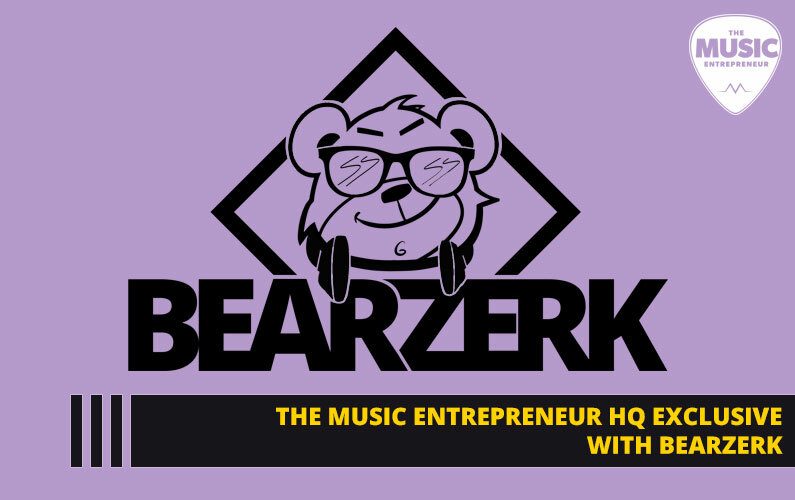 Just so you know, I will be sharing about many of the projects I’m involved in, not just what I’ve done here at The Music Entrepreneur. If you find value in this post, don’t forget to share it on your favorite social media site. I’ve experimented with various publishing schedules. Somewhere along the line, the schedule for TME became Tuesday, Thursday, and Saturday, and that’s what I’ve been working to maintain ever since. But I did quite a bit of publishing elsewhere too, and I’ll also share about that. Note: The following numbers may not be exact, because the year isn’t over as I write this, but you get the idea. In 2016, I published over 70 posts on TME, not including weekly digests. There were a lot of great guest posters that helped fill the gaps along the way. Thanks guys! In 2016, 96 of my articles were published on Music Industry How To, where I’m a staff writer. Thanks Shaun! 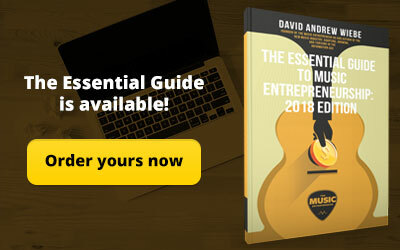 If you’d like to gain access to full length guides at MIHT, you’ll want to go to: musicentrepreneurhq.com/miht. I did a bit of guest posting over at music distribution company JTV Digital in 2016, and had 12 articles published over there. 2016 saw the return of the podcast at TME. I may not have even thought to bring it back if not for some of the business resources I’ve been exploring. It’s much easier and faster for me to communicate by writing, but TME has gone full-on multimedia with audio and video in this last year. Here is what I’ve accomplished with podcasting in 2016. It looks like I will be ending the year with 24 podcast episodes for The New Music Industry Podcast. Special thanks to my guests, Bob, James, Ross, Dave, and Helen. If you aren’t a subscriber yet, get onboard, because I have many interesting features on the way. 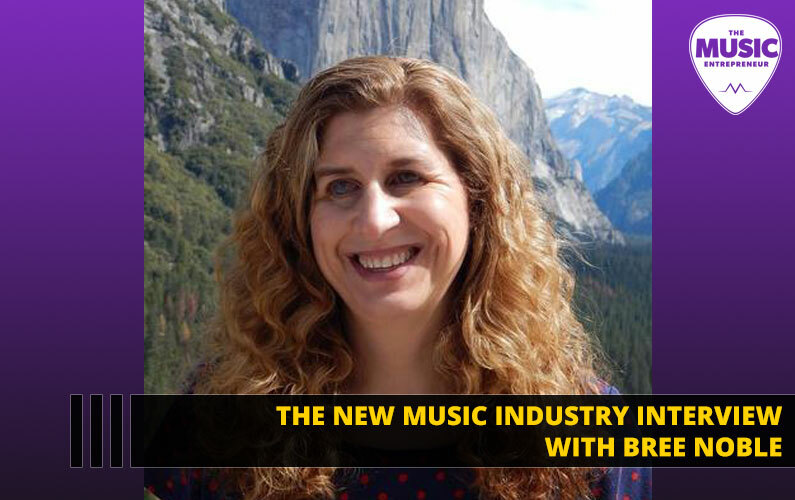 The good folks at Music2020 had me on their show recently to discuss blockchain technology. 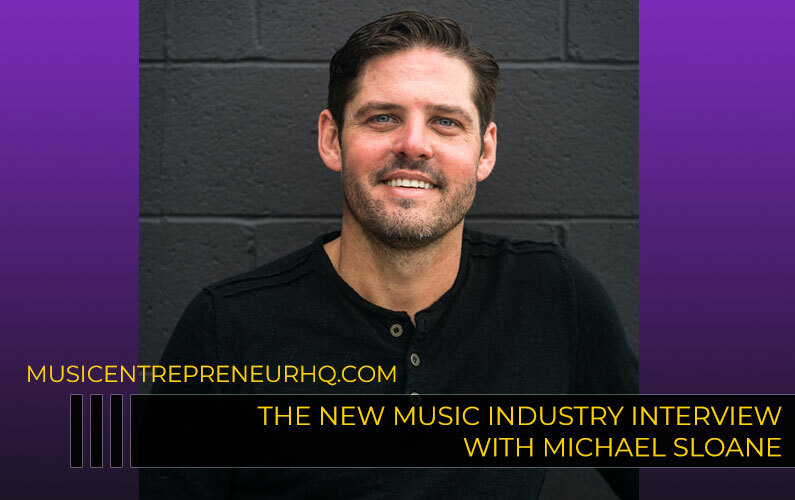 Always happy to share my thoughts on emerging technology and what its impact on the future of music might be. There were a few breakthroughs with TME products this year. One in particular is the launch of physical copies of The New Music Industry: Adapting, Growing, and Thriving in The Information Age. It wasn’t necessarily easy to design and format the book, but I’m glad I found CreateSpace. 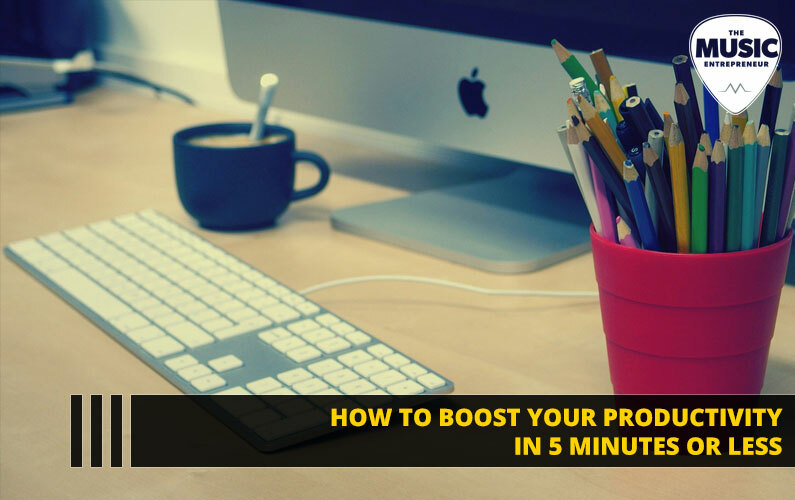 Writing the My Top 10 Tips for Creatives eBook was also a significant accomplishment, especially since I was on a tight deadline for a speaking engagement, and wanted to make sure it was done in time for it. Also, work officially began on my upcoming book, Flashes of Elation: Navigating the World as a Sensitive, Creative Soul. So, even though I would have loved to get more products out into the world in 2016, I must acknowledge that the three projects just mentioned weren’t small undertakings by any means. 2016 feels like the first year I’ve really dug into speaking, though I have had the chance to share at different events prior to that. This year, I was presented with a couple of great opportunities. This event is the reason why I ended up writing the eBook My Top 10 Tips for Creatives. I wanted to have a relevant offer to share with the people I was speaking to (instead of just my music industry book). I was invited to share at Creative Conversations twice, and both times I talked about the same 10 tips I wrote about in the eBook. Overall, the response was good. Thanks to Lisa for having me out to share! I’d only heard a little bit about WordCamp until Mr. John Smiley invited me to speak. Since 2016 was declared the “year of music” by Calgary mayor Naheed Nenshi, they wanted to carry that theme over into this year’s WordCamp. I don’t think that’s how things worked out, but fortunately they kept me on their speaker roster and I got to share about content marketing. It was a thrill sharing my ideas for those in attendance, and I hope I get to do it again! I’ve been a casual Audio Visual theatre tech at Mount Royal University for several years. Up until June I still worked there regularly, but things have been changing quite a bit with the department, and they haven’t needed me as much. I’d made the decision last year that I wanted to focus more on writing and less on teaching and tech work beginning in September, so it kind of worked out. But in a way, that has been replaced by my involvement in a couple of communities. The Question is a disruptive, non-religious community that provides an organic gathering place for those who wonder about our complex selves, world, and universe. Though I am not responsible for creating all the content there, I am the one posting it. I’m also responsible for the website, social media, videography, as well as setup and teardown at each monthly event. In addition, I’ve had the opportunity to present at The Question on a couple of occasions, most recently in November. Deanne Matley shared her vision about The Listening Room Series here on TME in April. Having wrapped up a season, she was evaluating what her next move would be. Long story short, I ended up joining the collective along with Frederick Tamagi. We rebranded and launched two listening room concepts – The Circle and The Classics – in September. The Listening Room YYC will be going dark in January, but we’re looking forward to another season in February. I’ve been keeping track of the books I’ve been reading in 2016 on DavidAndrewWiebe.com. As I write this, I’ve finished reading 48 books, and I’m still driving towards 52 for the end of the year. Looking back, I ended up engaging in a lot of longer books. Not that there’s anything wrong with that, because I took a lot away from books like Joe Pulizzi’s Content Inc. and Tim Ferriss’ The 4-Hour Workweek, but I could have planned a little better to stay on schedule. My initial reading list consisted of other titles, but I ended up moving them to the Books I Want to Read page on my personal blog. There’s also the reality that I didn’t own every book on the list, and buying all of them would have been more expensive. Not that I’m fearful of investing in my self-education or anything. I’m still going to be doing a lot of reading in 2017, but I’m thinking about whether to refocus my reading on music industry news and content instead of books. I used to have a lot of projects on the side. But these days I don’t take any on unless I can collaborate with others on them. Here are the main side projects I’ve been working on this year. Maveen Kaura and I launched Using Your Power in October. Him and I have been talking about the ways in which we could collaborate on a project for a while, and I think we finally found a fit with this business. We’ve published 12 podcast episodes to date, covering a wide range of topics like personal development, buying a house, community, entitlement, building a network, and so on. Our podcast is for people who aren’t satisfied with shallow answers and want to go deeper into life’s big questions. Outsource Blog Content was initially launched in 2014. It’s gone through some changes in the last two years, but I will just sum up by saying that it’s back to being more than just a blog – it’s a business again. The site still requires some work before we can start taking clients. Still, quite a bit of content went up this year, and I also gave the site a needed facelift. Compuxor is a fun project I also started about two years ago, and I’m now collaborating with Karlo Keet from Catstar Images on most of the content we produce. Because it’s just for fun, we don’t have a publishing calendar or anything like that. But we’re generally putting something new out into the world every quarter or so. We’ve been working on a follow-up to last year’s Christmas special, and by the time this is published, it might be out already. I spent a good amount of time formulating my goals for 2016. And at the time, I was reading and listening to a lot of things that were pushing me in a new direction. Well, the year didn’t exactly shape up as planned. At first, I was referring to my goal list often, and making decisions that were congruent with it. And because my goals were primarily action-oriented, I felt that would make them easy to track and accomplish compared to metric-oriented goals. But as I started discovering new sources of information and inspiration throughout the year, my focus began to shift. I’m still growing and evolving, and I see course-correction as a necessary part of the process. For instance, launching a podcast was nowhere on my list, but I ended up starting two. By the time summer had rolled around, I was already on a different trajectory than my original goals had dictated. But here’s what happened with my goals in 2016. Create one last roundup post for The Music Entrepreneur. I’ve tried various content experiments through the years at TME. I make it a point to keep what works and let go of what doesn’t. The link roundup posts weren’t really working for me anymore, so I wanted to finish off with one last hurrah. The roundup posts ended up getting replaced by weekly digests, which I think are better. Finish the blog post, Musicians: All The Productivity Advice You Need for 2016. Since I’ve shared quite a bit about time management and productivity at TME, I thought I would put together a post that curated all these resources into one place. Check. Update the resource page. I changed it to the products page instead, which is still in development, but it’s at least 70% functional. Create hardcopies of my book. This one is huge. Physical copies of the book are available on Amazon and several other online book sellers. I’ve also been selling them out of the back of my car, though not literally. Putting the book together wasn’t as straightforward as hoped, but I’m glad I figured it out. Create a new sales funnel for my book. I ended up putting together a killer landing page. Create a promo pack for my book. I did, but I’m not really using it right now since I ended up consolidating all my music sites into one place. Post ongoing updates to the blog, and have them sent out to email subscribers. This goal is a bit vague, but I made a way for people to subscribe to just the blog content and not my newsletters. About 17 people are on that list. 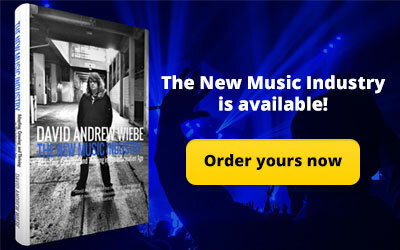 Create an online guitar lesson section at DavidAndrewWiebe.com. Although I did set this up, I’m not certain I will be keeping it. Streamline work life for September. Another major goal accomplished. I now work almost entirely from home and live a comfortable lifestyle, but I continue to push the limits and work towards bigger goals. Update the audio list and the book list. Technically I achieved this goal, because I did update them, but realistically there are a lot more resources to add and review. It’s just a lot of work. Set up a new email list. 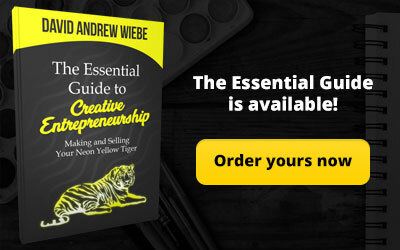 The idea was to grow a separate email list for DavidAndrewWiebe.com. I’m not sure how important this is right now, but either way I haven’t done it. Record a track that can be downloaded for free. I think the idea here was to record a song that people could opt in for using their email address at DavidAndrewWiebe.com. I did record in 2016, but I didn’t create anything I’m giving away. Record a new solo album. I didn’t get as far as recording an album, but I did record and release multiple singles. Take a two-week vacation in July. In some ways, I did take it easy during the summer, but I should have taken an honest-to-God vacation. Eliminate consumer debt. I got five or six credit cards down to two. And I could eliminate one of those two at any time, so technically I’m down to one. Finish commission drawing. This has been on my mind, but I’m still in the conceptual phase. Go on at least 12 dates. I experimented with Tinder, Bumble, and Match, but so far there hasn’t been much change to my dating life. In some ways, I do feel women are responding better to me these days than before, so in a weird way, finding a relationship has been a process of giving up. Learn to make okonomiyaki. This is a delicious Japanese pancake recipe, primarily comprised of cabbage and pork belly slices. I haven’t been visiting the local Asian market as much as I should. I enjoy Asian food and need to incorporate more of it into my diet. 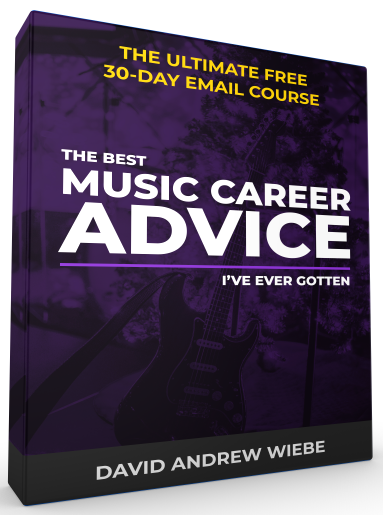 Create The Beginner’s Guide to Online Music Promotion. It still seems like a good idea to create a guide like this, but developing other products was a better use of my time in 2016. Finish 55 Ways to Increase Traffic to Your Music Blog: The Definitive Guide. 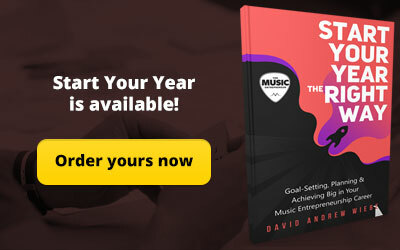 I’ve adopted a new motto that will become a part of The Music Entrepreneur’s culture: “Don’t sweat the free stuff.” Instead of updating and expanding this free guide, I’m going to do that when I make it into a product. What’s free will stay free, and I won’t put any undue pressure on myself to make it better. Finish the Music Marketing 101 Course and sales funnel. I think I just got bored with the idea, but that doesn’t mean it isn’t worthwhile. 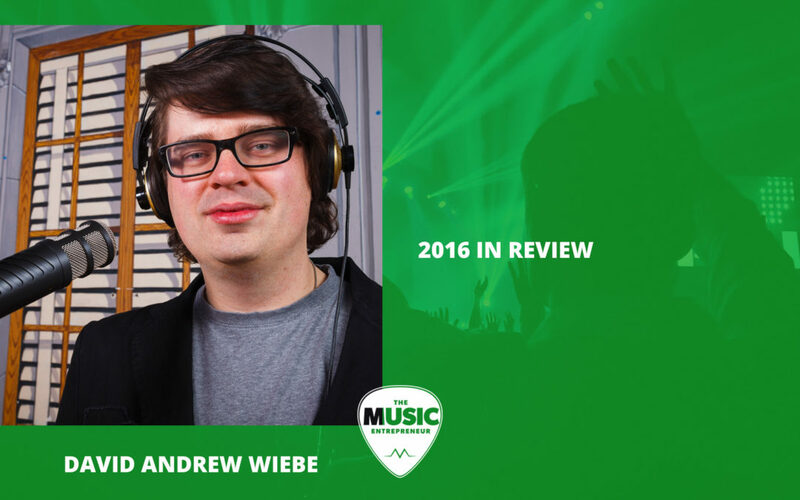 Finish The David Andrew Wiebe’s Guide to Podcasting guide. I think I just forgot about this, and I’m not sure if it’s even part of TME anymore. So, there you have it! For 2017, I’m planning on writing down my goals on a piece of paper instead of keeping them online. Initially, I thought this would help me refer to them often, but again, that only worked for a while. I’m also planning on putting them up on my whiteboard and organizing by quarters instead of just setting generic, yearlong goals. And I’ve talked a little bit about this already, but I’m trying to set no more than two or three goals per quarter. 2016 did not shape up exactly as I had thought, but I’ve still enjoyed the journey. Some people and projects that weren’t even on my radar at the end of 2015 are now part of my regular life a year later, which is always kind of strange to think about. In terms of business, I’m fast reaching the limitations of what I can accomplish alone. I’ve already hired one contractor to help on the content side, and I’m also considering the hiring of additional contractors and the purchase of business tools to help automate different aspects of my business. I’m also thinking about collaborating with more friends, colleagues, and music industry thinkers in 2017. It seems the risks get bigger as time goes on. I’ve taken some big risks and a lot of calculated risks to get to where I am now. But to get to the next level, I’m sensing that more big risks will need to be taken. I hope you enjoyed this retrospective on 2016, and if you’d like to share how things went for you, I hope you’ll leave a comment.